WELCOME TO "GET THREE COFFINS READY...."
NOTE! I have found a page dedicated to SIX GUN SOUND. Not much there yet. 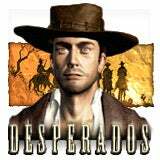 I am working on collecting DESPERADO resources. Until we have enough for an entire page, visit THE JACKSON GAMERS PAGE on Angelfire, lots of good Desperado replays and scenarios. If you have a fansite, replay site or house rules site for the games DESPERADO, HIGH NOON, HEY YOU IN THE JAIL, or SIX-GUN SOUND , please get in touch with me, I'm easy to find. 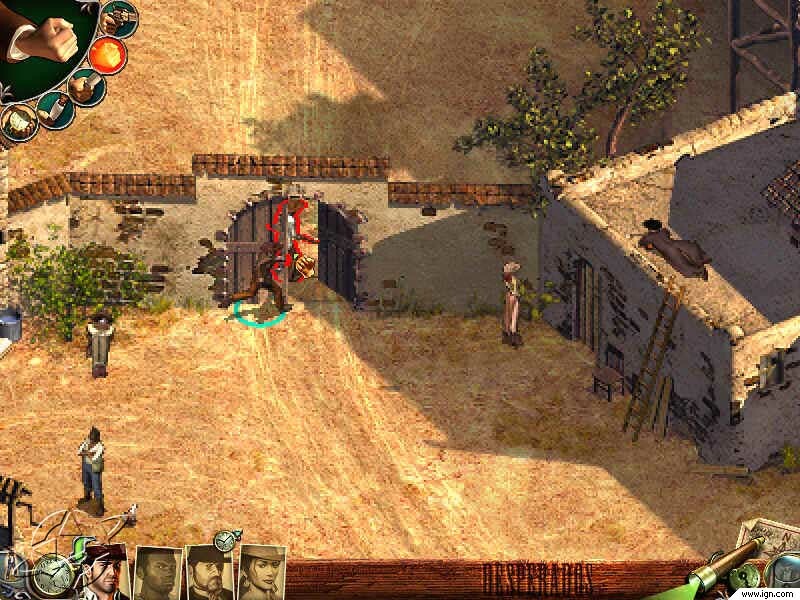 Desperados: Wanted Dead or Alive is a new German PC game set in the wild west. FOUND! The files to resurrect the older, 'cuter' Fate deck. See the TRWNN page. FOUND! Links to all of the other missing files. Courtesy of the Internet Wayback Machine! 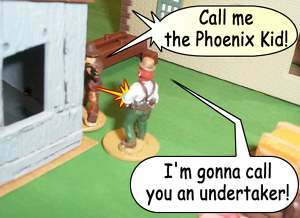 This is a Wild West Skirmish web document, dedicated to the play of man-to-man combat games using miniatures or board games, set in the time period alternatively known as either "the Old West", "the Wild West", or "the American Frontier period." This time period usually encompasses the Plains Indian Wars and sometimes the Mexican-American War, but often those conflicts are not presented as skirmish games. Western skirmish games are by nature very tactical and fast moving in time scale, and almost always utilize 1 figure/counter= 1 man as a physical scale. NOTE TO LONG TERM FANS OF THE OLD WILD WEST SITE: Fortune City, in their infinite wisdom and technical incompetence, deleted most of the files from the old site, many of which I am unable to recover. Please be patient while I try to figure out to get these back. A tip of the Stetson to Mr. John Leahy and Mr. Dave Markley, who are assisting in the recovery of this older data. Kenzer and Company has released some different silhouettes for their shot clock system (which I am still in awe of). Go HERE to download new ones. On the same page, they have some print and play PDFs useable for "cover" objects. 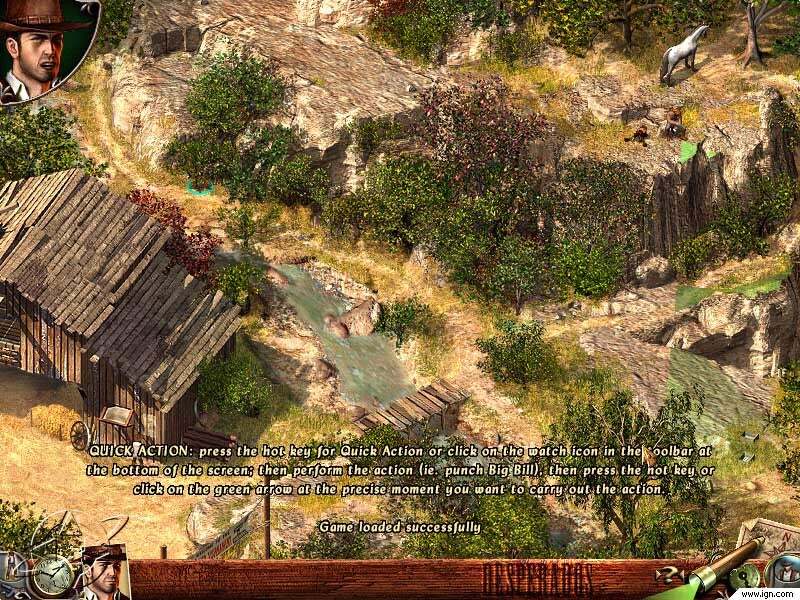 I had opportunity to give Warhammer Historical's LEGENDS OF THE WEST a try on Thursday. It proved to be like most GW products-- 2-4 useful pages surrounded by forty pages of high-color fluff. Read more about it HERE. Kenzer and Company have a brand new Wild West Roleplaying Game coming out; by the name of ACES AND EIGHTS. Their gunfighting skirmish games (somewhat barebones, but quite brilliant) is now out as SHOWDOWN. Read the first glance review I put on my blog if your'e interested. Their "shot clock system" is purty danged amazing. "Buffalo Chip".. Another cut and paste western town. Not cheap but very well done. Gunslingin' isn't just a manly pastime. SHADOWFORGE has a small but well made line of female western figures. Available in the USA from Brigade Games and Hobbies. Me? Who, ME? I'm Walt O'Hara , der webmeister, but I didn't come up with everything here. David Markley, my partner in crime, has also contributed to some of the stuff on this page. We have both been running skirmish games at home and at conventions since 1996, and hopefully can pass along some items of interest to you. What will you find here? At first, not a lot. I have participated pretty avidly in playing, playtesting and adding to a rule set called THE RULES WITH NO NAME (TRWNN). TRWNN was developed by Brian Ansell of the Foundry-- one of the preeminent miniature figure companies available today. TRWNN is available for free from Tim Peterson, courtesy of the Foundry Web Page. SCARY MONSTERS VERSION 1.3 is released. Go to the Scary Monsters Page to download. Here are some pictures of past Wild West skirmish events. These are exclusively using The Rules with No Name rules, heavily modified. I hope to add material from different rule sets at some point, but that's what we're playing these days. Page One: Another fun evening at home doin' some killing. Shows off stampedes, Fall-IN! 1997, Shotgun template. Page Two: Just a lot of goofing off, blowing things up and diverse stuff. We experiment with Buffalo Gun rules. Page Three: The 1st Annual Cow Town Turkey Hunt scenario, a practice session run at home and Fall-IN! 1998. Excellent source of 28mm to 30mm figures, detail is excellent. 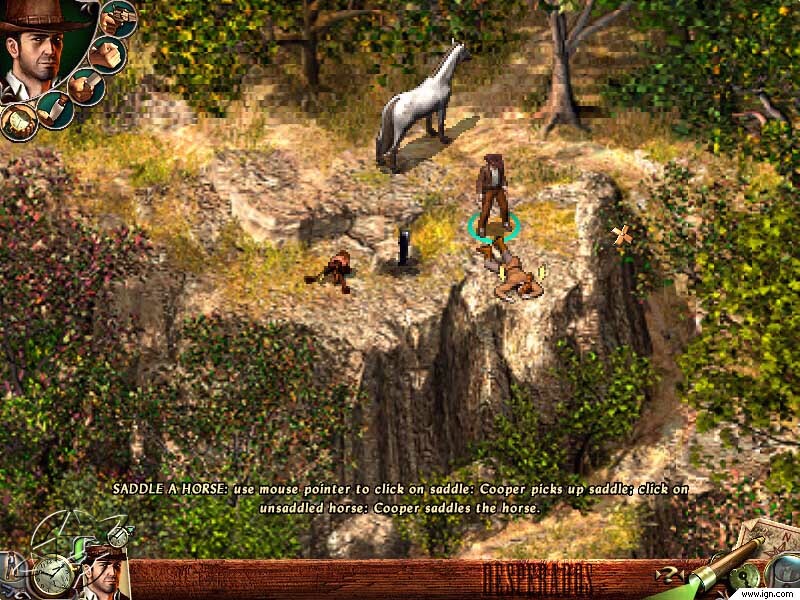 Extensive "Pony Wars" line, Victorian Bystanders are a must for NPCs. Check out new Range Wars, Cavalry, and Maximillion Adventure sets. I miss the old days when I could purchase single figures; now I can't afford to buy Foundry figures much. Old Glory Fantastic deal at 25$ or less for 30 odd figures; sometimes less. Extensive Pony Wars and Indian lines; Good Support for Gunslingers and Lawmen, too. Figures are pretty good; mate well with Foundry but not as nicely sculpted. Dixon An outstanding line of miniatures that mates well with Old Glory and the Foundry. Their vignettes are a MUST BUY for the Wild West gamer. J&T Miniatures Excellent line of Resin Cast accessories in many periods; check out the OK corral and Stockade set for the Wild West. Recent new lines of miniatures include "Dogs of the Hot Moon", a settler massacre set (very good stuff). Also carries various lines of Eureka and Connoiseur figures in the Wild West theme. Firing Line A small, but nicely sculpted Western line that hopefully is growing. RAFM A small Plains Indians line (e.g., "Boots and Saddles"). I haven't used them. Westwind/Cowboy Wars Extensive "Cowboy Wars" Line of 28mm figures and rules set of the same name. Some interesting choices, but I found them expensive and kind of bland for my tastes. Games Workshop style pricing. Their Vampire Wars/Gothic Horror line is wonderful, though-- excellent for Scary Monsters of the Golden West. Haus of Stuff (defunct) Used to Distribute Outpost, Frontier, SIMCAST figures. Not sure of their status now. Site is still up for some reason, but they are not taking orders for Frontier or Outpost. Frontline Wargaming Polyester resin scenics, including a Wild West range in 25mm. I have the graveyard, the store interior and the bank interior. Now distributed in the US by Robert Bolling. ERTL's "Cow Town" Playset (at Evers Toy Store) Decent Western Buildings sold as a kids toys!! Meshes perfectly with 1:64 or roughly 25mm. I have two sets of the Western Town set, 1 of the Ranch House and 1 Western Barn. Buy the Mustang Roundup and Longhorn Roundup for your stampede needs. Maybe you can let your kids play with them, too. NOTE I think the line has been discontinued as ERTL has been sold. EBAY is probably your best bet for a Cow Town now. Tactical Conflict Systems (TCS) Has a fantastic 25mm "Hollow House" line and their own commercial Rules set, HIGH NOON. Excellent line of accessories... maybe the only place to find saguaro cacti in this range. Airfix Out of business, but you can pick up a box here and there. Airfix had a 1/76 (roughly HO Scale) cowboys and Indians set, as well as some specialized military diorama sets that would work well in this format. Goldlok Toys They make a pretty decent train set in scale. Unfortunately this company is in Hong Kong, I've tried contacting them several times and they don't answer email. Easy to find these in toy stores, though. Wild West Skirmish Gunfight Board and/or other type games not done in a miniature vein. Bounty Hunter: by Nova Games, the people who brought you Ace of Aces. Basically this is a port of that system to Wild West gun fights. I played it once, long ago, and thought it was pretty cool, but lacked the suspense and action pacing of the air combat games. Here's a on Grognards. Saloon: Cute little "Bar Fight" game. Like many Euro themed games, this could just as easily be about anything else, like: "Hey, girls, the Fleet is in town!" Still, the artwork is funny and the game easy to go through. Nice model for fisticuffs, if you are looking for such. In German. Wyatt Earp: Call this one "Mystery Rummy set in the old West" and I think you have an idea of how this game works. HERE is the boardgame geek listing, with several comments and a strategy article. BANG! 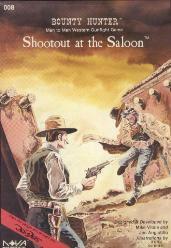 a game by Italian publisher DaVinci games, remains true to the gunfight theme but with very simplified mechanics. I hear the game gets a tad repetitive but cannot attest to this. Click HERE to view cards. Some historical source material, mostly game related. This symbol: means the site is defunct or out of service the last time I checked. If you administer this site, please contact me to give me the new address. I will carry the listing for a while, then delete as I see fit. Gunsharks, rules for converting The Rules with No Name to a science fiction setting, is available on the DOGHOUSE Yahoo Group, in the Files Section. You'll have to join up to get them. The Rules with No Name Page, run by a pal of mine, Tim Peterson, has many of the rules you see in the Addendum page above, plus some pretty bitchin' scenarios contributed by TRWNN fans (myself among 'em). The Last Square Gamers have a wonderful website. 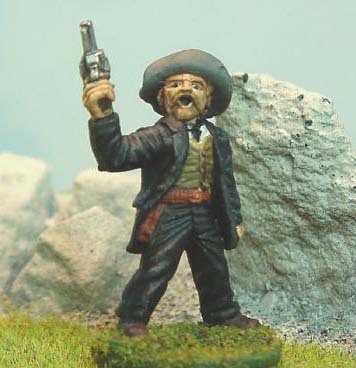 Of particular interest are the Wild West/Victorian miniature database (top page) and their Warperado with No Name rules description (hit the "what" button, then Skirmish Games). Good work, Jim! Steve Burtt put up a set of Wild West skirmish rules HERE. Mark Hannan, major contributor of the GAUNTLET magazine, posted his "Dog Soldiers" rules HERE. Victory Conditions for Western Games-- VISIT THIS ONE.. a big problem with Western skirmish games is the descent into general mindless violence. The Jackson Gamer guys put some thought into this. Paranthetically, I try to do the same thing with the "Mission Cards", above. The Kansas Gunfighters Page Good source of pictures if you need them. Rattlesnake Jack's Old West Clipart Parlour Absolutely invaluable! Rencounter: Another Skirmishing rules set, this one done by Ed Allen of Ed's Hobby Hovel. Suitable for the Wild West or Colonial periods, this has material for the American Frontier period. This guy is playtesting rules for those bags of Cowboys and Indians (roughly 54mm scale) that you can pick up in dollar stores. Join in the fun, I'm gonna run it in the wee hours of the evening one of these conventions coming up soon! BTW, TRWNN works just fine with dollar store cowboys! Major General Tremorden Rederring's Colonial-era Wargames Page may be a little incompatible with the Wild West in terms of geography but the terrain, figure and especially BUILDING tips he presents on these pages are outstanding and very fitting with our period. Recommended! The opinions expressed on this page are my own.